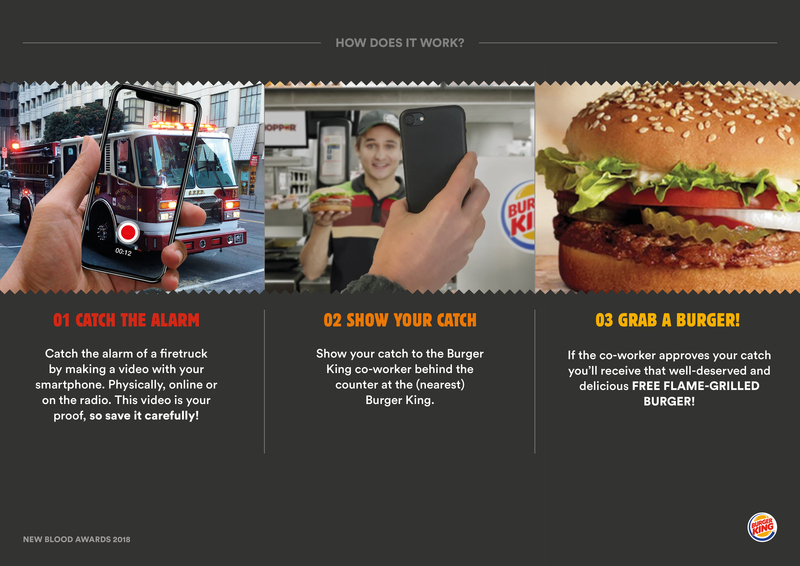 We all know BurgerKing’s ads that show BK’s that caught fire from flame-grilling. Through his cool campaign we came up with a cool activation idea. 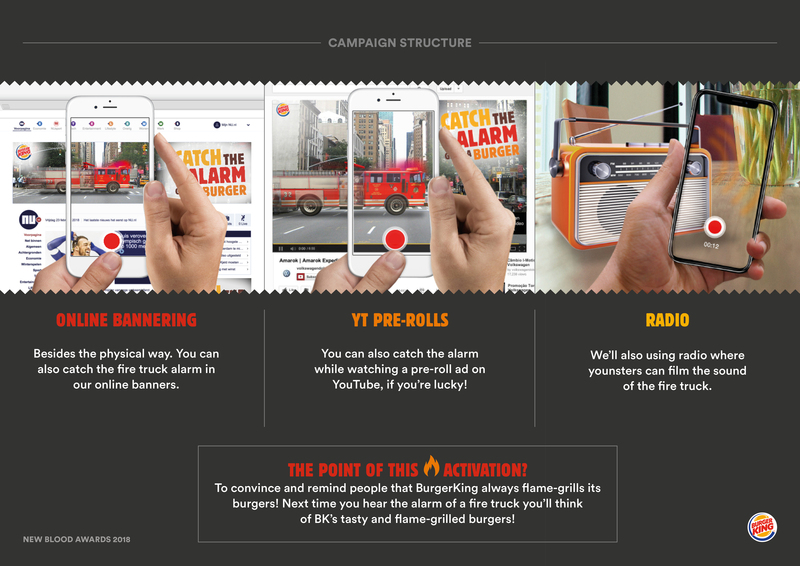 An idea to make youngsters literally alert for our ‘flame-grilled’ message. 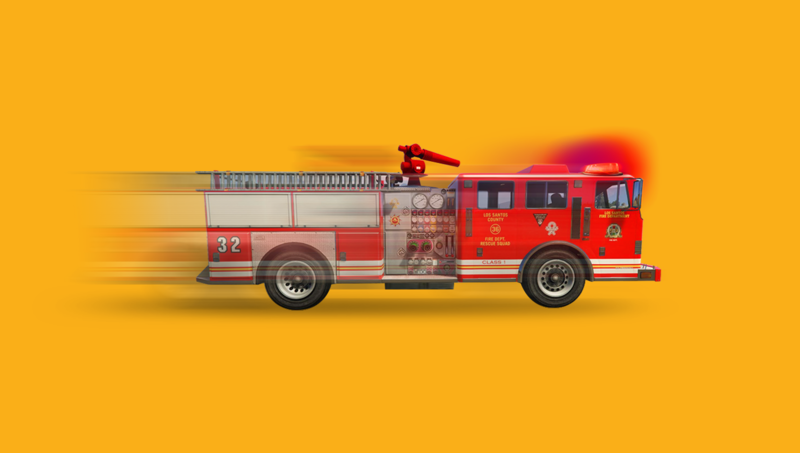 We’ll claim the sound of all firetrucks and turn the ‘negative’ alarm sound into something ‘positive’. 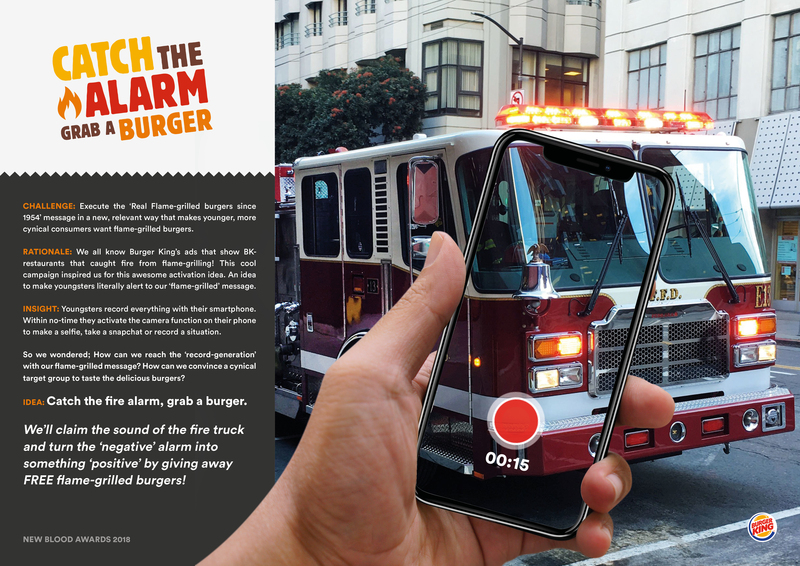 A FREE burger.